Set moments away from the Roman Forum, Salumeria is a place where locals meet and travellers feel like home. 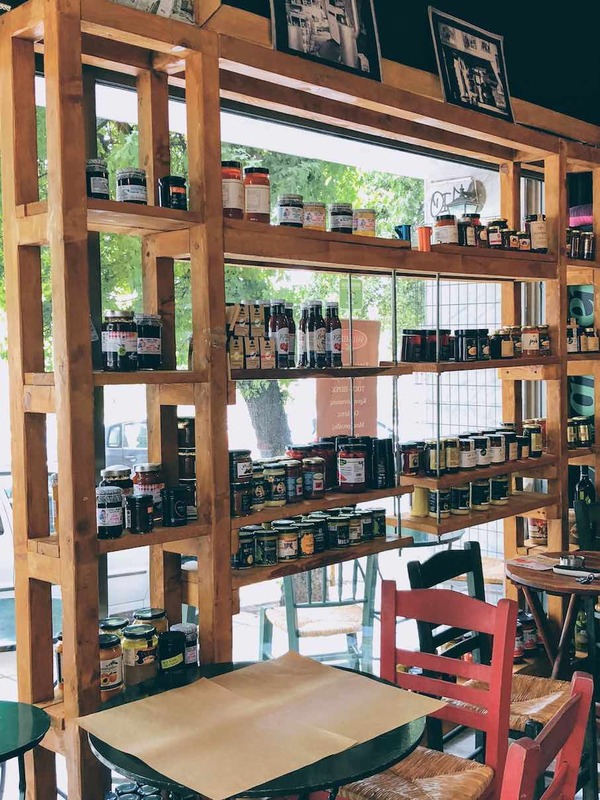 The small colorful deli store offers high quality produce from around Greece, even sourcing their bread from the small town of Kommotini every day. And, yes, it is quite delicious! 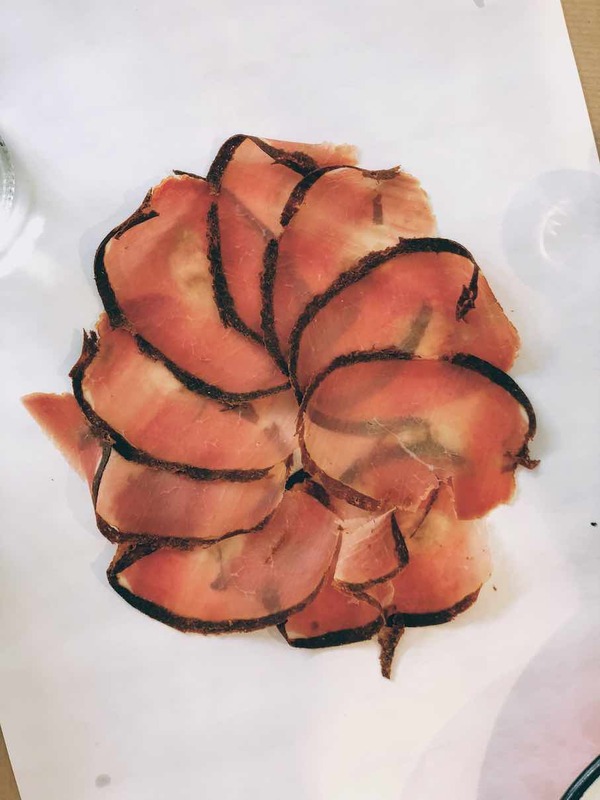 I first visited Salumeria on a hot summer day for a brief lunch that transpired to a long-play afternoon full of raki, tasty bites and some good ol’ Thessalonikian hospitality from its very owner. Stepping into the tiny place the smell from the fresh produce and the cured meats immediately catches the nose, as the eye is blasted from all sorts of artsy-packaged goods from small retailers across Greece. 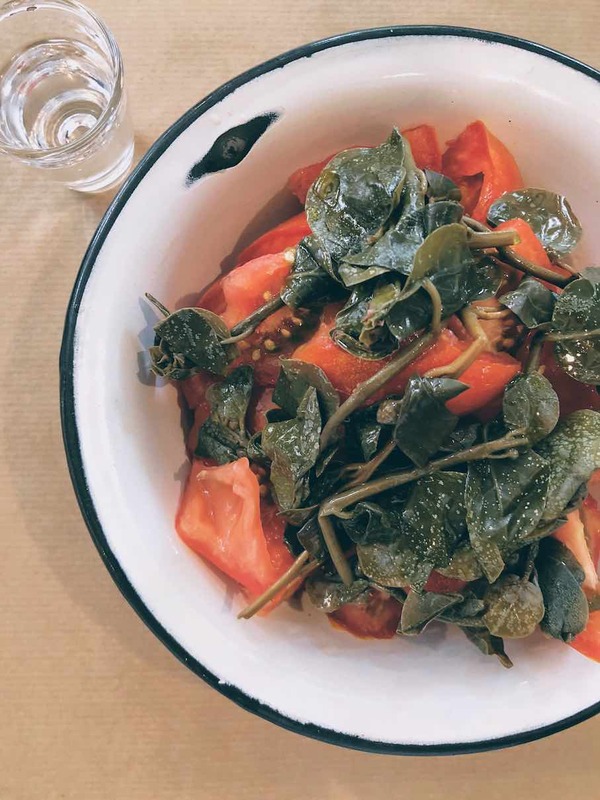 We started with a plain tomato salad decorated with some caper leaves in an enamel bowl, some homemade beef patties and a few pieces of aged cheese from Crete’s Rethymno town… remarkable! We also tried an omelette with cheese which was quite tasty but the highlight of our meal was the Turkish origin perek, a savoury pastry with tomato, kaseri cheese and pastourmas (cured beef). Other things we liked were their orzo with syglino meat from Mani and vegetables, a robust yet delicate dish, and surely their hand-cut french fries served on oregano and rock salt.